There are thousands of games on Steam and more added (almost) every day. It’s great to have options, but unfortunately a lot of stunning games are lost in the shuffle. This problem is even more pronounced during the sales Valve holds every year, such as its Summer Getaway Sale, which is now in progress. Some games surface on the main page, featured as part of a Flash or Daily Deal, and see sales skyrocket as a result. Other games aren’t so lucky. So as much as we love Kerbal Space Program, The Swapper, and Universe Sandbox, here’s a shoutout to the rest of Steam’s sale games. Reminder: You have through this weekend to take advantage of the offers below. 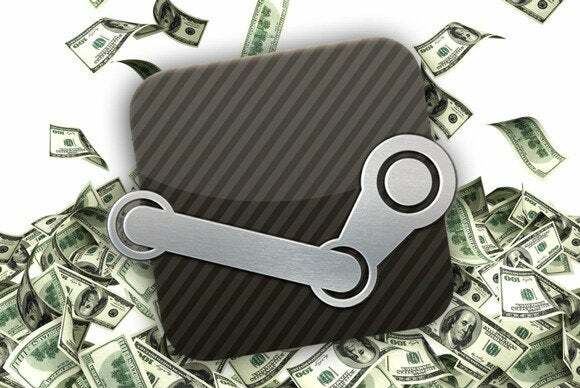 The current Steam Summer Getaway Sale—and these prices—run through July 22. Okay, so you’re not getting a steep discount on Gunpoint, but the game’s only a month old. And it’s one of the best games of the year. Designed by former PC Gamer writer Tom Francis, Gunpoint is one part action-platformer, one part stealth puzzle game. You play as a spy trying to break into various buildings. Luckily you’re some type of electrical-engineering prodigy, and you’re able to rewire parts of the building at will—for instance, make the door you’re stuck behind unlock when the guard flips a light switch. The game’s a bit easy, especially in the back half, but exploring the rewiring mechanic and coming up with creative solutions remains satisfying throughout. Made by: ][ Games Inc.
Dyad is a bit like playing a game of Tempest inside of a music visualizer. The trailer says to imagine you’re just one particle inside the Large Hadron Collider, and it’s an apt analogy. You race through a tube, hooking onto “enemy” particles to build up momentum and eventually move at blistering speeds. While the mechanics alone are addictive, the pumping music and vibrant visuals are the heart of the experience. The game is utter insanity to watch, to play, and to listen to, and it all adds up to a stunning, hypnotic whole. This retro-styled platformer is stupidly hard. If that’s something you’re into (see Super Meat Boy), there’s no reason for you to skip this game at a 75% discount. They Bleed Pixels features some truly beautiful pixel art, and H.P. Lovecraft inspired much of the design. That’s a winning combination in my book. The combat is occasionally frustrating—it’s not quite as “tight” as the developers boast—but you have claws for hands. Amazing. Just stay away if you struggle with anger issues. This game would make Gandhi punch through a wall. Super House of Dead Ninjas is another entry in the retro-hard platformer category, with punishing enemies and a randomly generated tower that changes its layout for each adventure. The game’s art even simulates scan lines, adding to that “playing a Sega Genesis on an old CRT television” feeling. Originally a free Flash game, Megadev and Adult Swim added a whole host of content to the game when it launched on Steam—new rooms, new weapons, new enemies, and native controller support. Pick up this and They Bleed Pixels if you really want to snap a controller in half. Take classic shoot-em-up gameplay and inject it with Guitar Hero and you’d get Retro/Grade. If that sounds like absolute nonsense, you’re not alone. Retro/Grade is a baffling high-concept game—one part shoot-em-up, one part rhythm game (with a fantastic soundtrack to boot), and one part Braid or Prince of Persia’s time-reverse mechanic. The entire game is played backwards, your ship pulling laser beams out of wounded enemies like the most talented doctor in the universe. Oh, and you unfire those lasers by playing Retro/Grade in time with the music. If that makes sense. You’ll understand once you start playing. Half Life 2’s gravity gun let you manipulate and throw objects. Rochard’s lets you reverse gravity and walk on the ceiling, in addition to the aforementioned “throw heavy objects” conceit. Clearly, Rochard is better than Half Life 2. In all seriousness, Rochard is a humorous little platformer with an incredible soundtrack and some crafty puzzles. It’s also really colorful, and modeled in full 3D if you’re tired of the pixel art look. Look at that price again: forty-nine cents. And not only do you get Time Gentlemen, Please!, but it comes bundled with Size Five’s earlier game Ben There, Dan That! Even if these games were complete garbage, it would be hard not to get two-quarters worth of value out of them. Luckily these games aren’t garbage. 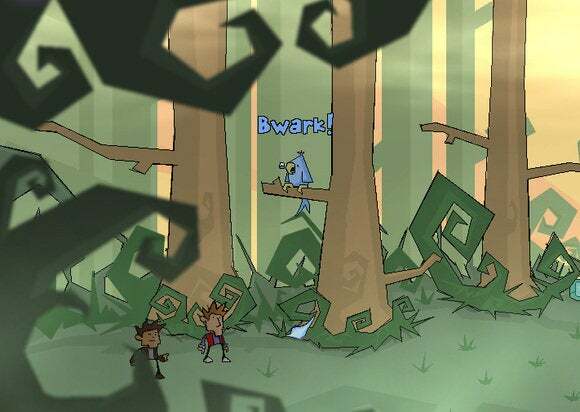 They’re some of the smartest, funniest point-and-click adventures in years. If you miss the absurd humor of old Lucas Arts adventure games, these might fill that hole in your heart—with a rubber chicken. In Thomas Was Alone you play as a collection of sentient rectangles. Well, one is a square, but if I remember correctly from math class a square is just a special type of rectangle? Regardless, Thomas Was Alone would be a decent puzzle-platformer even were it not for a really smart, engaging voiceover narration from Danny Wallace (seriously, he won a BAFTA for the narration recently). This is one of last year’s break-out hits, and at this price it’s an absolute steal. Open your heart and allow a bunch of rectangles to teach you about friendship. This is a bit of a cheat: System Shock 2 is hardly unknown. It’s one of the most famous games of all time, when discussing story. Younger players will undoubtedly know its spiritual successor Bioshock better, but System Shock 2 is for many the highpoint of Ken Levine’s output and still an amazing experience even 14 years after release. If you’re somehow unfamiliar with one of the best games of all time, imagine Bioshock in space. System Shock 2 is a horror game masquerading as a shooter. Journey to the year 2114, where you’ll explore a starship and try to figure out how the mission went terribly, terribly wrong. I can’t say more without ruining it. If you like challenging first-person shooters, if you like Bioshock, or if you just like a good horror game, do yourself a favor and pick this up. Christine Love is one of the best these days when it comes to visual novels. Analogue takes place aboard a space ship, in the far-flung future, as you try to puzzle out what happened to the crew. Also, you have extended chats with an artificial intelligence program and interact with a simulated operating system with all the clunky aesthetic goodness of the late 80s/early 90s. If you want to get a feel for Analogue: A Hate Story before purchasing (if, say, you’re on the fence about what a “visual novel” entails) I highly recommend playing through her other game, Digital: A Love Story. It’s free(!) and a great introduction to Love’s style. To the Moon begins with a simple (though science fiction-y) premise: on your deathbed, you can undertake an operation that allows you to live out an entire second life—but only in your head. You get a second chance to go back and live life the way you intended, fulfilling all the wishes you neglected the first time around. There’s not much “game” in To the Moon. It’s a relatively straightforward experience. Nonetheless, To the Moon is one of the most beautiful, poignant games ever made and is regularly hailed as an achievement in game storytelling. This game is worth full price, let alone a mere three dollars. This story, "11 great Steam game deals you may not know about" was originally published by TechHive.